No these aren't really chocolate. They're adorable felt cat toys! I machine embroidered (freehand) flowers on the fronts. 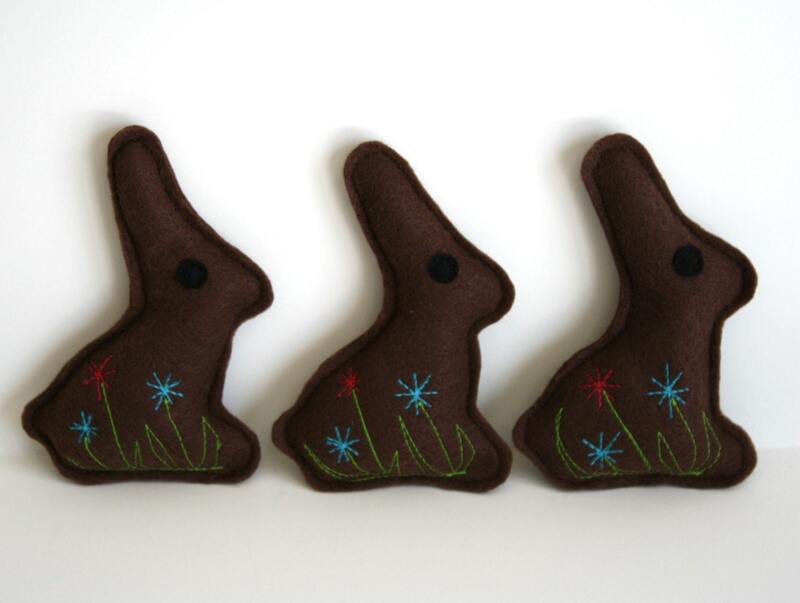 Each one is a little different and thread color may slightly vary from the bunnies shown. The bunnies are almost 5" high by 3.25" wide. The back side is solid. These cat toys are so adorable! I’m so happy that I ordered these Easter goodies for our spoiled felines. Well packaged and shipped on time. Will look forward to ordering more in the future!